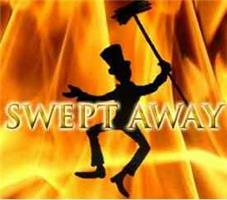 Swept Away - Chimney Sweep, Fireplaces/Stoves based in Hailsham, East Sussex. Invoice history based on 185 reviews. HETAS registered wood burning stove installer and chimney sweep. Providing the best service is my main aim. Wood and Multi Fuel Stove Installer. My main aim as a HETAS registered wood burner stove installer is to provide top quality service and give each customer a personalised and professional service. From the initial free survey and quotation, right through to installation and sign off, I handle every aspect personally. I can install a wood burning stove supplied by you or supply one for you. If you need your chimney breast reconstructed or enlarged, I am able to advise, plan and carry out any necessary building and plastering, tiling or fitting of a new stone hearth prior to your installation. Thanks for visiting my page and I look forward to your enquiry. Chimney fires are a reality, so for your peace of mind, your families safety and to comply with most insurance policies you should have your chimney swept at least once a year by a registered chimney sweep. Brighton, Hove, Worthing, Seaford, Peacehaven, Tunbridge Wells, Heathfield, Eastbourne Bexhill.